This mark is a little difficult to discern. It could be either “JS” or “IS”. 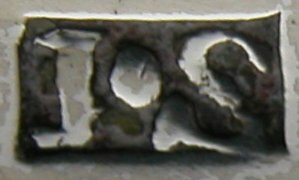 “IS” is a common set of initials for Dublin makers of this period and I have chosen James Scott as the maker. This may be incorrect. The tongs are delightfully Irish with every characteristic you would expect from Irish tongs, including the engraved star at the tops of the arms. 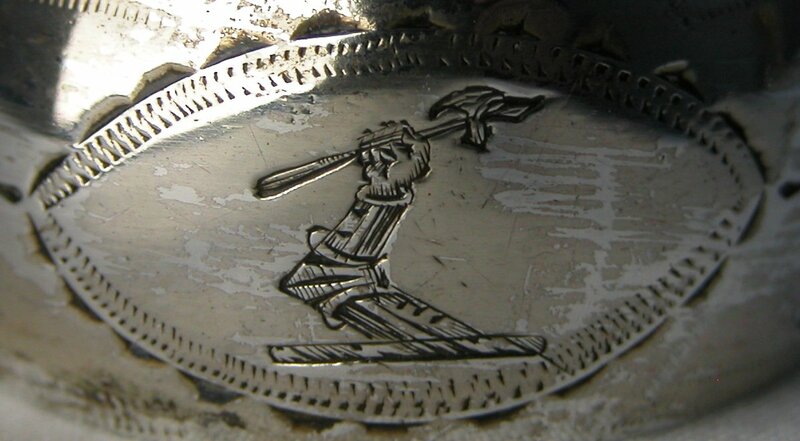 I have dated them at c1808 because of the slightly rounded hallmarks which were used in 1808 and 1809.